I spent the last week demonstrating digital musical instruments from the IDMIL at the Innovaction fair of “knowledge, ideas and innovation” in Udine, Italy. Some of the instruments we displayed at Nextfest were not available due to rehearsals for the McGill Digital Orchestra’s upcoming performances on March 5 at the MusiMars/MusiMarch festival in Montréal. Still, we demonstrated two different instruments: the soprano T-Stick and Elliot Sinyor‘s Gyrotyre. 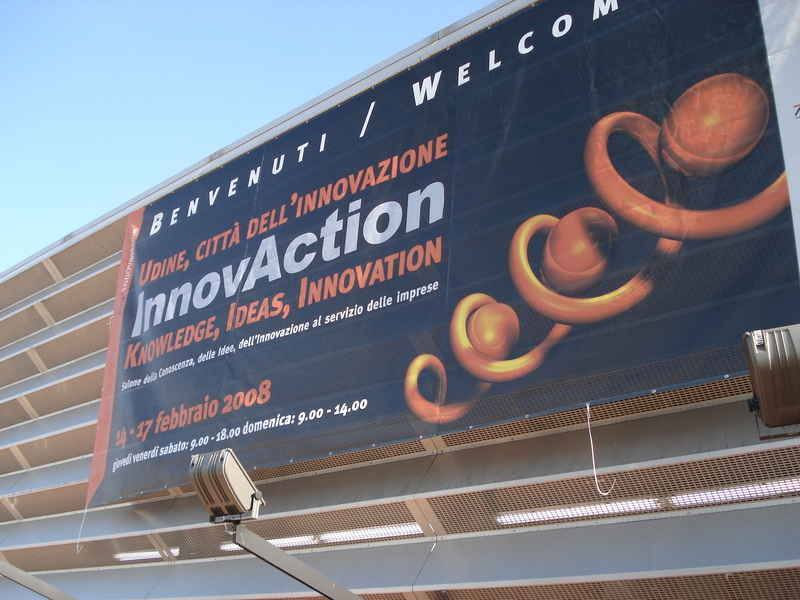 According to the final press release, over 45 000 visitors attended Innovaction this year.